Less than four weeks to go until November 6th – and Financial Times Deutschland has now launched a new U.S. election blog, in which we share our impressions from on and off the campaign trail all across the country. But if you don’t read German or if you want to dig a little deeper, here is some of what I’ve been reading in the U.S. blogosphere. In part two, I will give an overview of international bloggers covering the race. The world is watching! But let’s focus on the U.S. first, where many famous bloggers are using their existing platforms to blog on the elections, among them Chris Cillizza’s The Fix , the New York Times correspondents on The Caucus, or Bill Kristol of the Weekly Standard for a conservative perspective. One of my favorites is the insightful James Fallows – which is no wonder in my case, since he also keeps an eye on China. 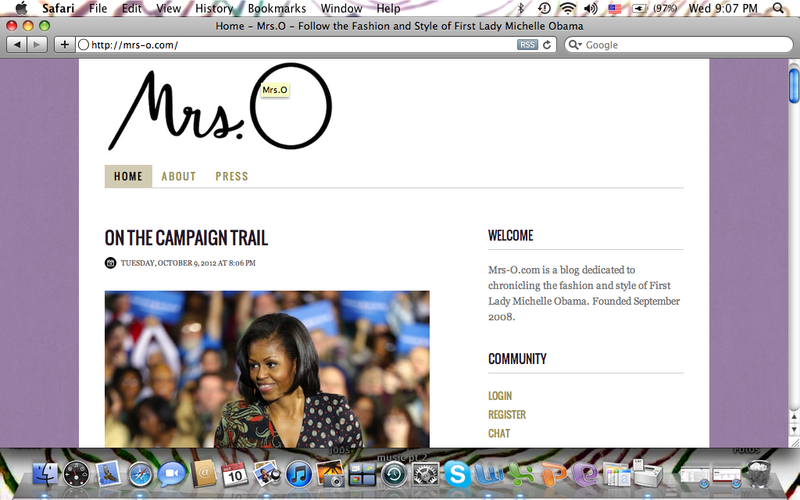 But apart from that, most of the major media outlets have blogs specifically dedicated to the campaign. The Wall Street Journal’s election coverage can be found under its Washington Wire blog. The New York Times added a Campaign Stops Blog with opinion pieces. The Congressional paper The Hill transformed its Pundits’ Blog into a Presidential campaign site. Please not that I am not including the more activist blogs on the left and right. No Huffington Post versus Newsmax, no Rachel Maddow versus Glenn Beck. You know how to find them if you feel like filling up on talking points and rhetoric. For more entertaining tidbits: CNN’s Political Ticker is a source for finding out what the candidates’ wives are up to. If you are worried that fashion will be less glamorous should Ann Romney move into the White House, Mrs. O is your chance to see what Michelle Obama wears on the campaign trail. Thanks to F.A.Z. society editor Alfons Kaiser for digging that one up! If you care less about fashion and more about the issues, think tank blogs might be more up your alley. The Council on Foreign Relations’ Campaign 2012 keeps track of all the sense and nonsense the candidates produce on foreign policy. 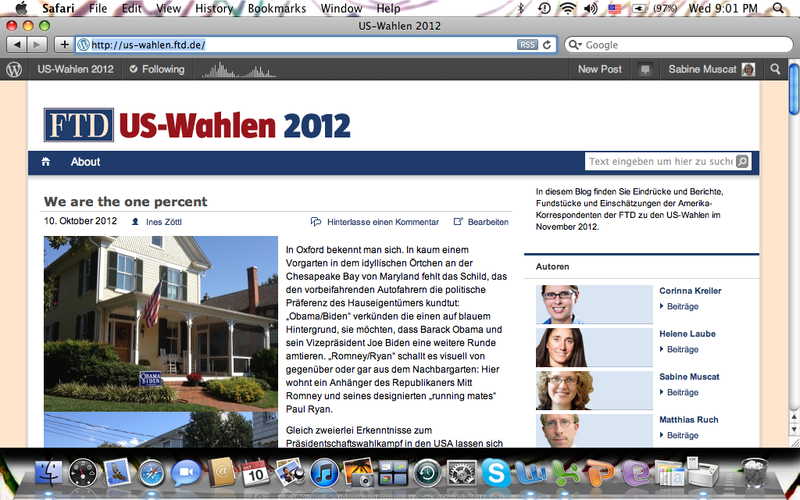 The conservative American Enterprise Institute has an election blog section 2012 Election: Live. Brookings, Center for American Progress and the likes don’t seem to have a liberal equivalent. It can help to understand the facts before you go to the opinion pages though. Since neither of the candidates nor the pundits on the left and right will help you to get them straight, you may want to turn to Politi Fact or to the Fact Check site of the Annenberg Public Policy Center after tomorrow’s vice presidential debate. Disclosure and transparency are other issues the candidates are at war with. The Open Secrets blog of the Center for Responsive Politics can help to shed some light on this murky situation. Still not enough for the wonkier ones among us? No? Then you might like some guidance on how to make sense of those confusing polls. For this, the New York Times’ Nate Silver, author of the FiveThirtyEight blog, is your guy. 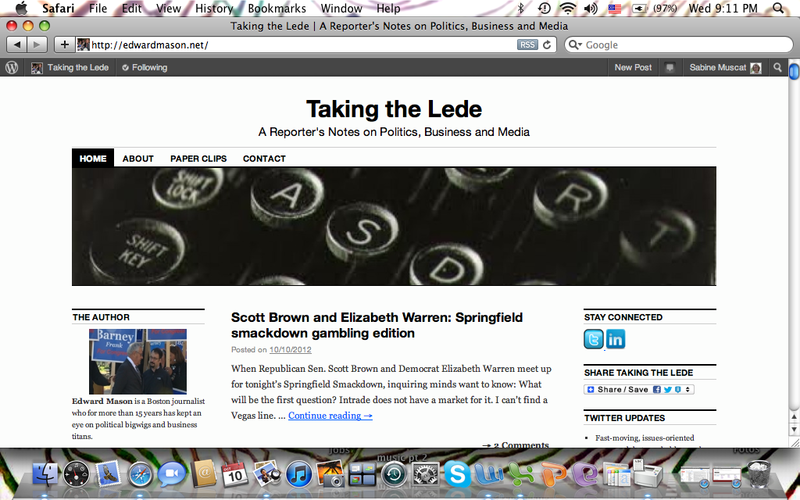 And as far as I can tell, the Huffington Post does a pretty good job as well with its Pollster blog. But polls are so abstract. Let’s go local by looking at some swing state blogs that will fill you in on the candidates’ every move in their states as well as on the local House and Senate races. Tampa Bay Times and Miami Herald cooperate on two political blogs in Florida, The Buzz and Naked Politics. In Ohio, Carl Weisner’s Politics Extra blog for the Cincinnati Enquirer is highly readable. In Colorado, the bloggers at the Denver Post are on The Spot doing a very good job keeping their readers informed about the campaigns. Massachusetts may not be in play nationally, but it is interesting to watch the Senate race between Elizabeth Warren and Scott Brown in Mitt Romney’s home state. You can find a lot about this on Taking the Lede by my blogging buddy Ed Mason. As for the other big swing state right South of my door, I am at a loss. None of the local newspapers in Virginia seem to have decent election blogs. So if you see anything illuminating coming out of the Commonwealth, do let me know! This entry was posted in Americana, Media and tagged blogs about presidential race, Election 2012, Election Blogs, Presidential race. Bookmark the permalink.